THERE ARE times when you almost hate this band for being so goddamn complete. They excite you then punish you, harm you then charm you. Invite you in, then kick you right out. 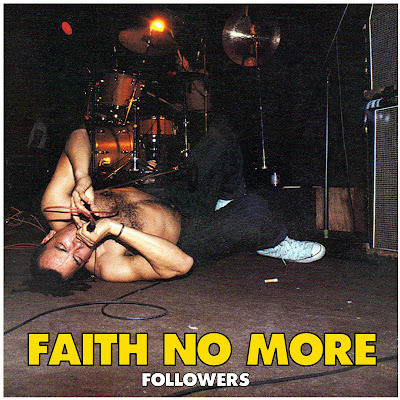 Four months since their debut UK tour and Faith No More reappear to continue what they started. 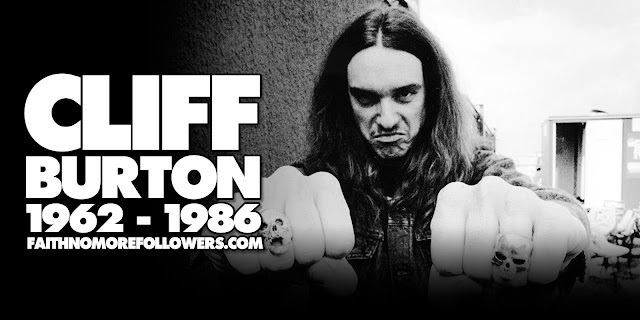 Rock City was certainly no dumping ground for first night nerves; this gig was a proclamation, a forearm smash reminder that this ten-legged tragic-comedy from America is very possibly live rock's hottest exponent. Now heavily armed with increased power, accuracy and confidence, FNM are no gaggle of gratuitously amplified bullies. They're a double-edged two-way thrill, a heaving and weaving symmetrical organism. For every fearful chunk of bitter bile thrown up - a trick FNM pull off with pugnacious ease - so there is melody, harmony, emotion and more than a few belly laughs. Clad in a horrendous wide-boy suit and blond wig, lending a certain surrealism to the huge omnipotent sound, singer Chuck grooves wildly to the zoom and grind of the opening 'Arabian Disco'. A little later, during the massive, gleaming metallifunk of 'R 'N' R', he opts for a bare chest, hippy skirt and baseball boots. And what a soundtrack to this idiosyncratic antifashion parade; boasting the many highlights of both LPs (the first still criminally unavailable over here) the rest of FNM interlace a display of near-precision passion. If wayward Jim's vindictive, vehement. Mount Vesuvius guitar occasionally roars out of sync with drummer Mike's galloping skin rituals, the whole monster swiftly tightens with renewed vengeance. Aside from Chuck's acoustic spot - a bemused rendition of Suzanne Vega's 'Luka' — the pace is admirably relentless. The hit single 'We Care A Lot' sees its creator, mohawk synth-player Roddy, gesticulating madly like a cult dictator; when the killdozer riff of the ardent 'Chinese Arithmetic' kicks in, otherwise benign bassist Billy switches to headbanging overdrive, the band charging towards the closing orgiastic 'War Pigs'. 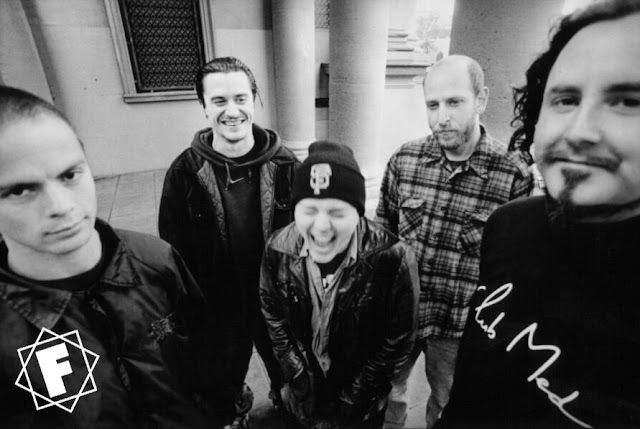 All's fair in the world of Faith No More; hell, insert your own superlatives, they are the heart of noise.